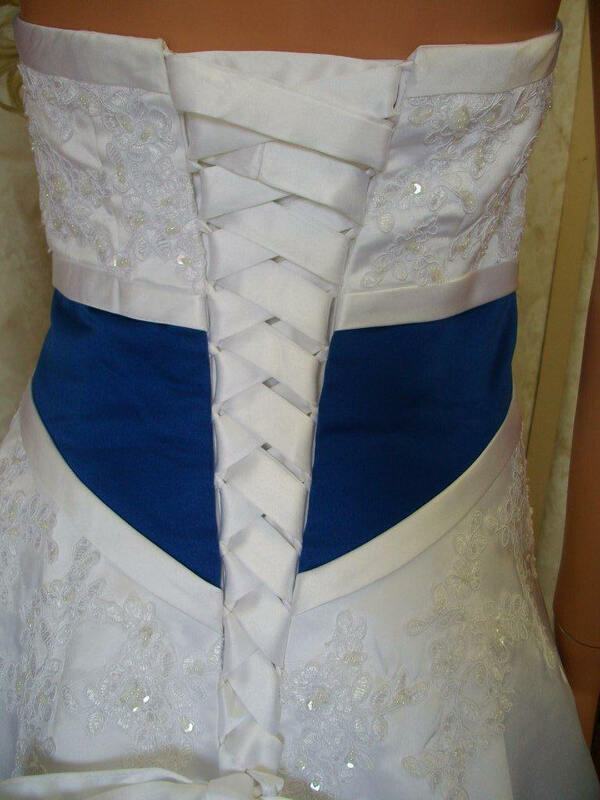 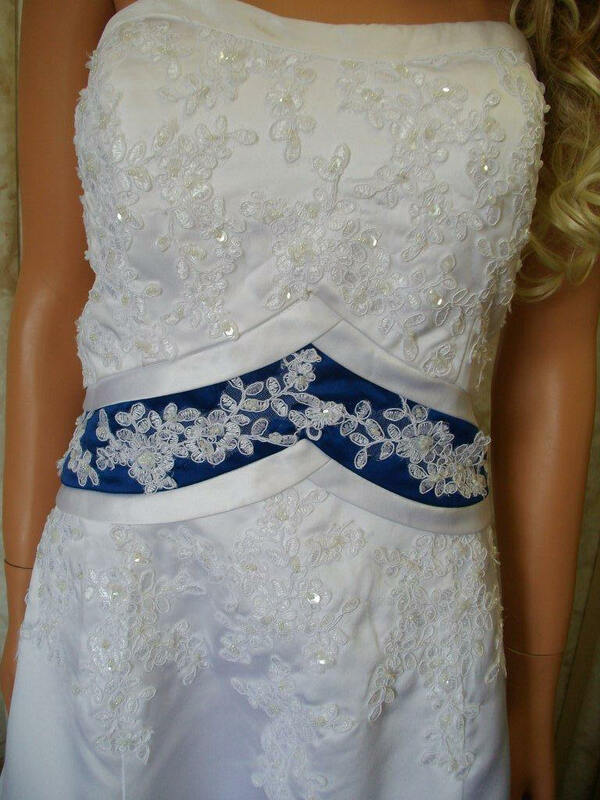 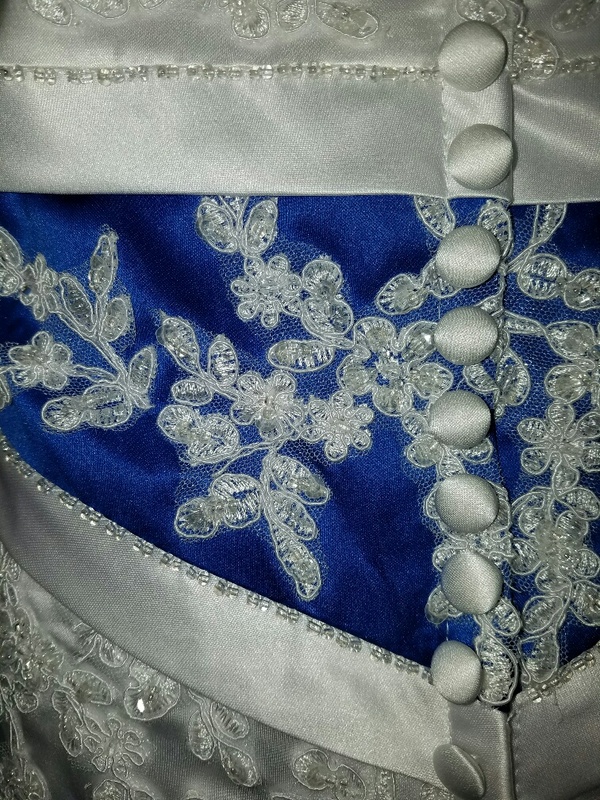 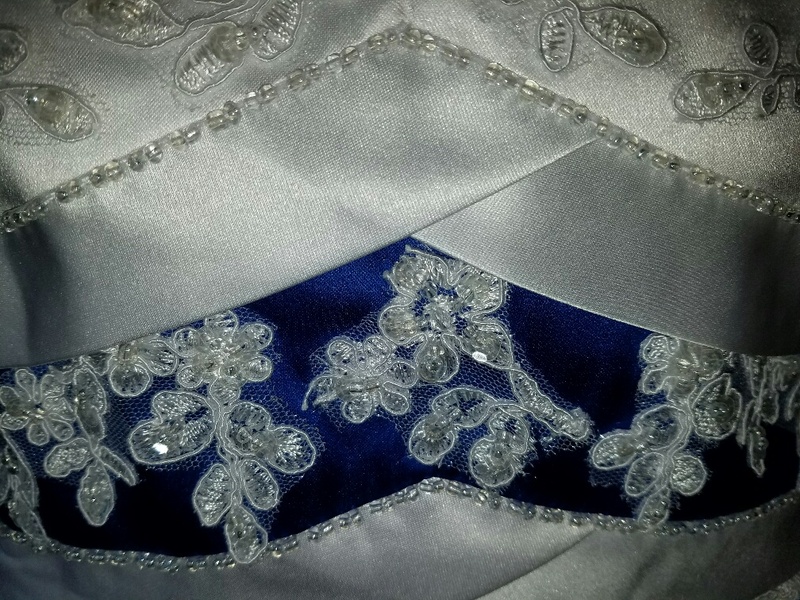 Royal blue empire banded wedding gown. 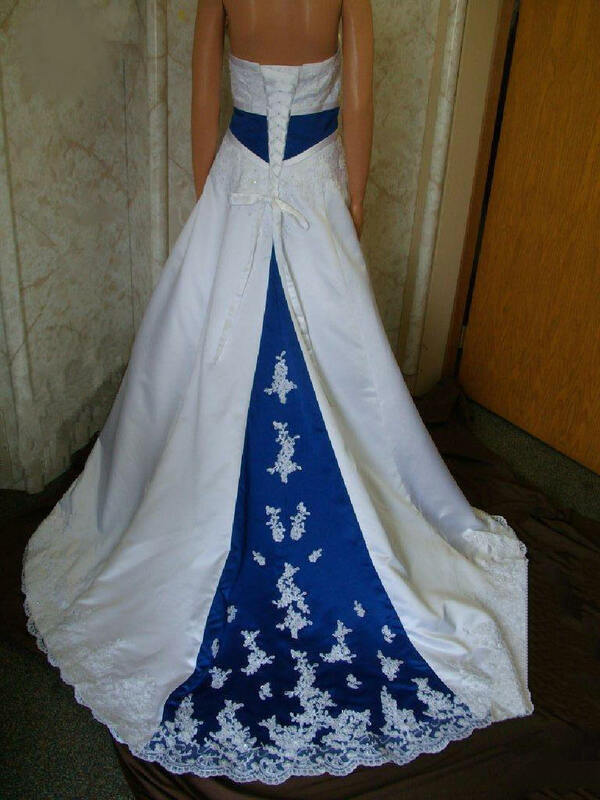 White strapless royal blue empire banded waist A-line wedding gown. 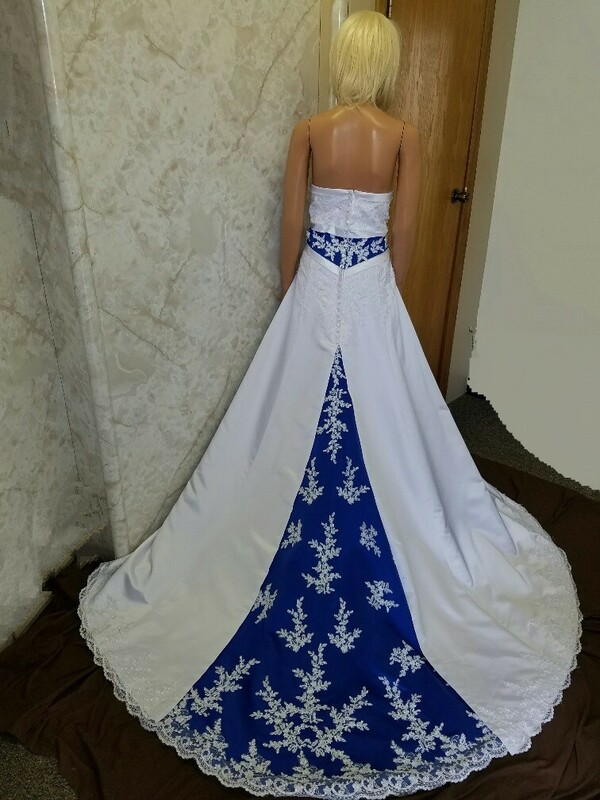 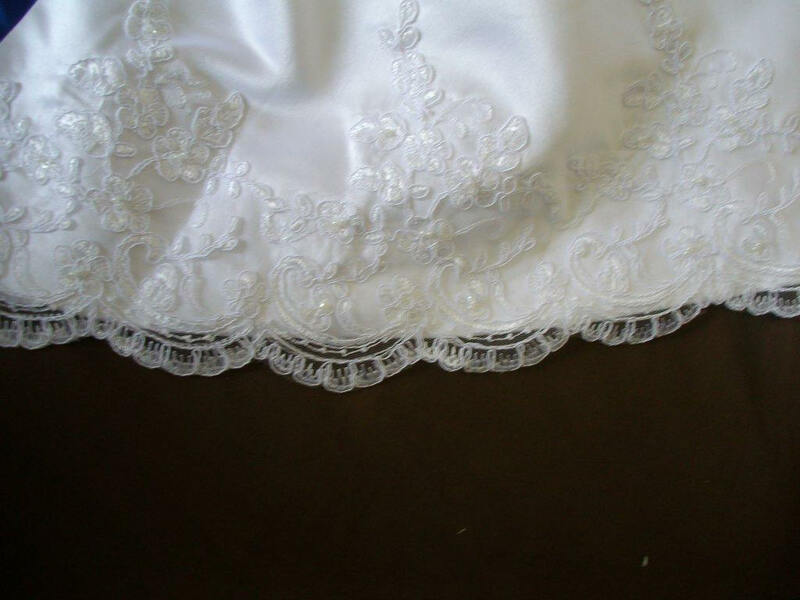 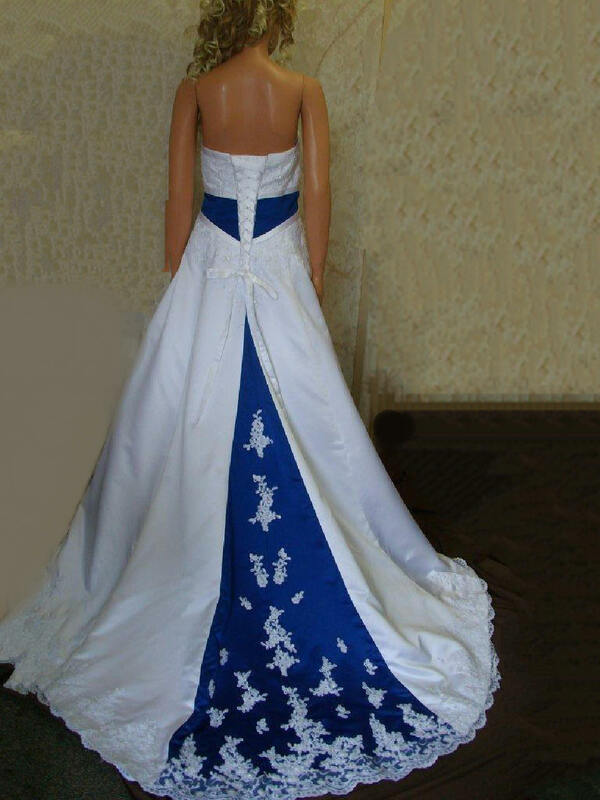 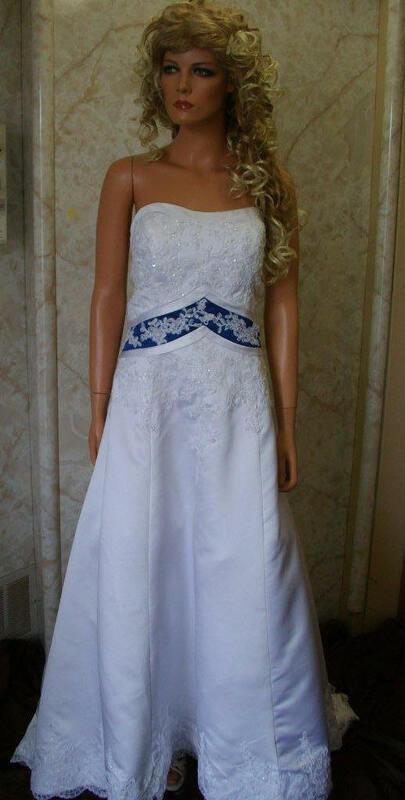 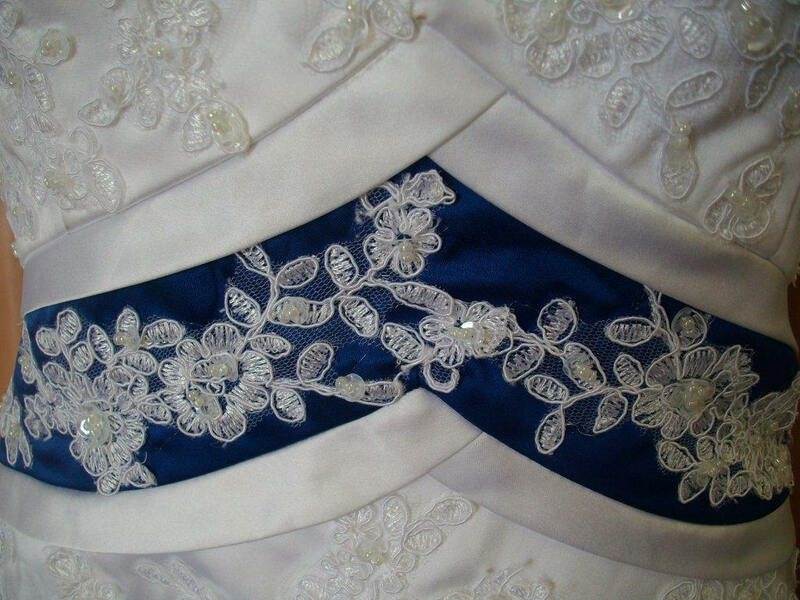 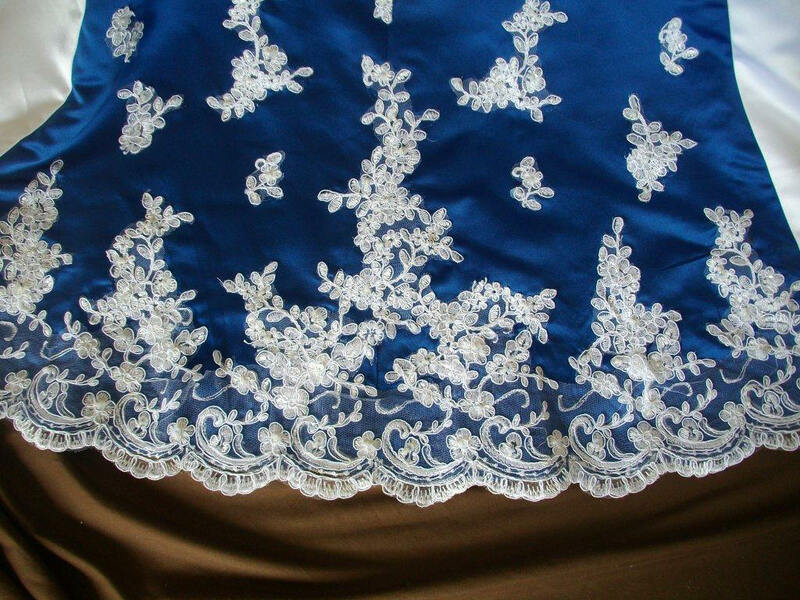 Royal Blue Empire and train Wedding Dress covered with beaded lace applique.